Kylie Jenner, aka the Lip Goddess, recently unveiled a Lip Kit collection that sold out in literally minutes. Although we’re pretty darn sure her Valentine’s Day collection will follow suit in that regard, Kylie wouldn’t be the Lip Goddess if she didn’t come up with a clever way to unveil her latest shade. Being the style queen she is, she chose to unveil it by matching it perfectly with not only her dress, but her lingerie, too. Last night, the star took to Instagram to tease the new color: a vivid, gorgeous shade of red. “Could this be a new lip color?” she captioned the shot with a winky face, meaning, yes, of course it’s a new lip color. 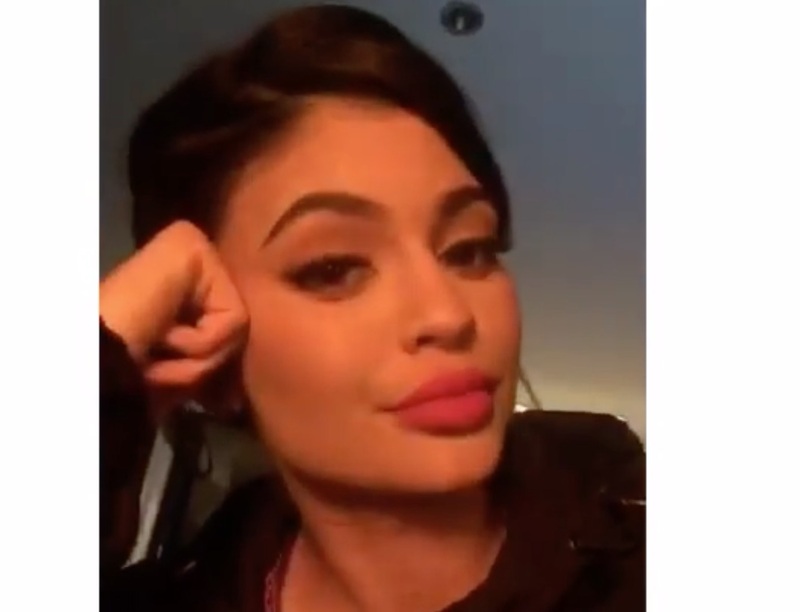 Then, she posted a quick video of herself in a tube-top red dress, wearing what appears to be the same shade (that also matches the dress, because again, it’s Kylie we’re talking about here). So we were like, “OK, so it’s almost *definitely* a new lip shade.” And then, Kylie confirmed our hunch with a Snapchat, saying that she had a lip kit photoshoot earlier that day. “This is one of my colors. It’s red and it’s pretty bomb,” she said in the video.